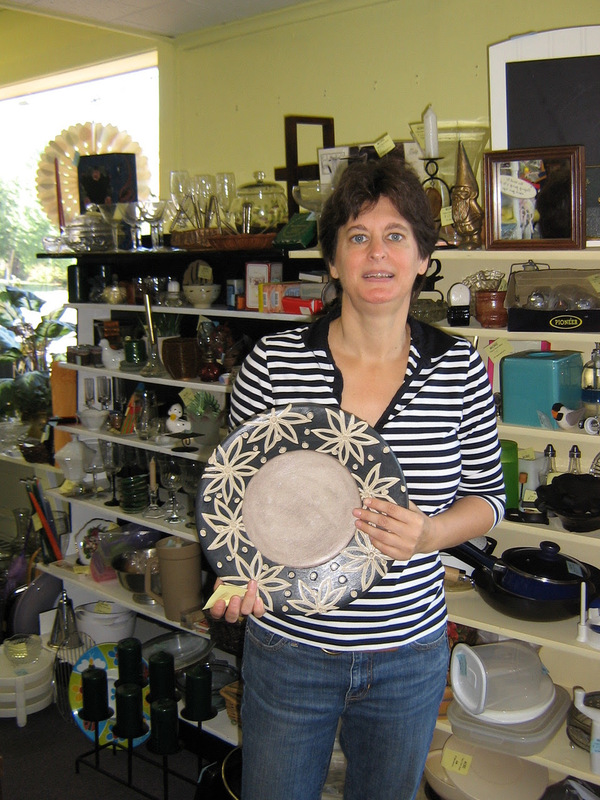 Cori Sarsfield, owner of More than a Thrift Store, has donated 100 percent of the net proceeds from sales of donated goods sold in her store to Southwestern Community Services (SWCS) in the past three years. Why? Because, as she said, “They do it all. I wanted to make a difference that would really affect my own town. And they have such a broad impact, a huge effect on so many levels. 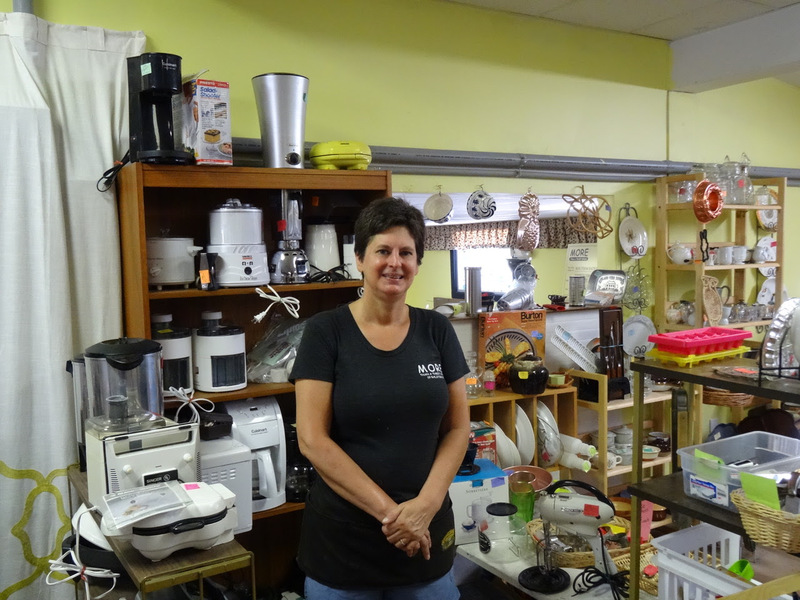 You know, it all adds up if we all do a little bit – you can shop here, donate things, volunteer, spread the word – it all helps.” The store just completed a move across town, but Sarsfield wants to be sure people know that nothing other than the address has changed. The new store is three times as big as the old space, with a wide open, uncluttered feel. And customers are loving it. 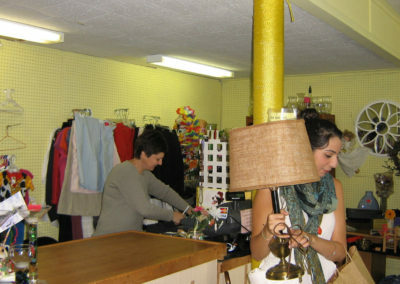 The store was steadily busy on the grand re-opening day last week. New and returning customers came out to support the effort, undeterred by the road construction that disrupted traffic and closed off the parking spaces in front of the store. “They have done so much good for so many people,” added Sarsfield. “They are an honorable organization that makes a huge difference in our communities.” Her yearly donation is an unrestricted gift to SWCS, so that the organization may use the money in any way they need to. 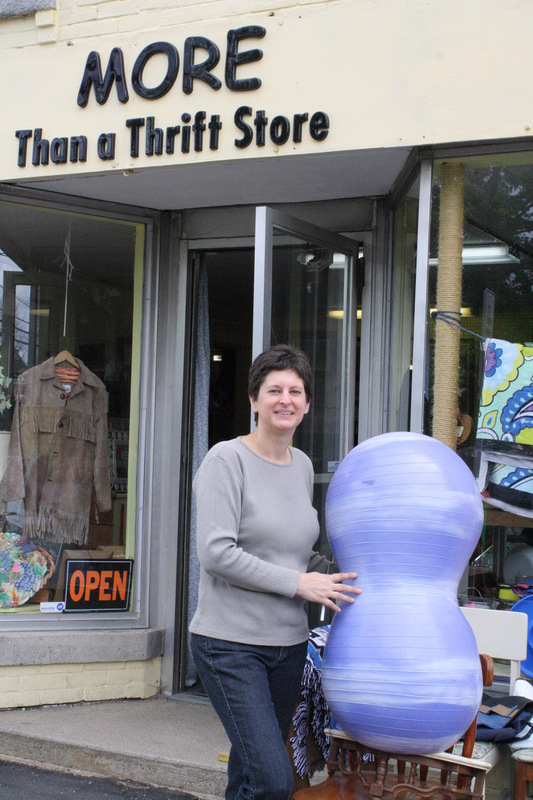 Unlike federal or state funds, the money donated from More than a Thrift Store is completely unencumbered. 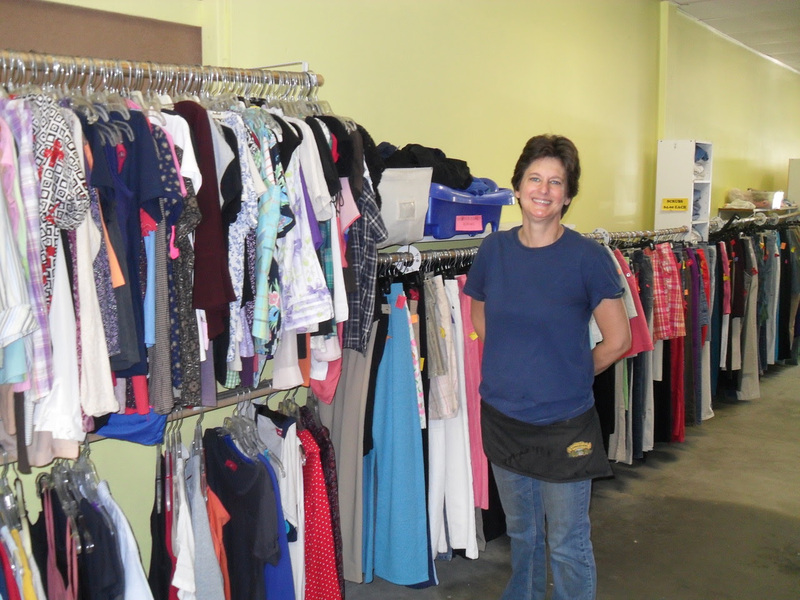 Donating money to SWCS is the reason Sarsfield created the store three years ago, but it is just one of the benefits her business model provides. She has created a place for people to buy things that they need (or just fun items, too), to socialize as they shop, and not worry about spending too much money. 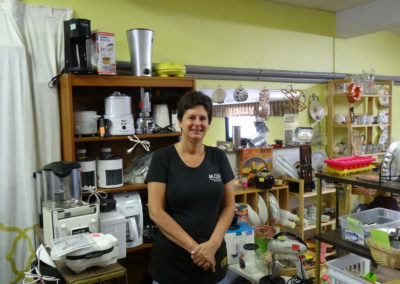 She has created a place for people to bring donations of goods, to volunteer, and to have fun shopping – and, by the way, to contribute to the greater community. When people can save money on things they need and at the same time help others, a circle of support is created. 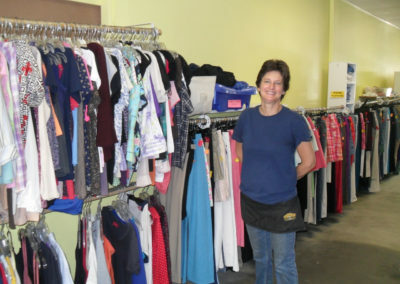 Sarsfield’s business wouldn’t be as successful as it is without her two staff members and the many volunteers who help sort donations, clean the store, organize and display the goods, and offer their help in many other ways. Last week, More than a Thrift Store moved from a small, somewhat cramped Marlboro Street location to a bright, high ceilinged, large space in the former Braden Printing building at 19 Ralston Street. It is still within walking distance of Main Street and Keene State College. The new space opened with a sale last Thursday. “We did it in four days!” said Sarsfield. The move was accomplished quickly with many hands assisting. 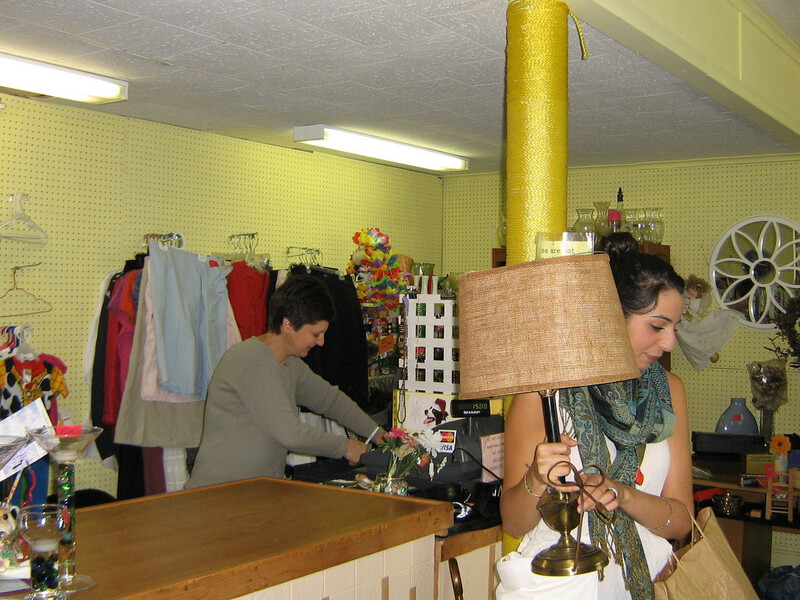 A core group of four volunteers prepared the new space and moved all the goods and store furnishings across town. With all the room in the new store, items are displayed and organized better, so customers can find what they need more easily. When the word went out about what was needed, donations flooded in. Video HeadQuarters and Ingenuity Country Store both gave racks of shelving. Sarsfield herself made storage racks from old pallets and doors. She spent the absolute minimum to furnish the new store. Sarsfield emphasized that nothing has changed from the old store except the space itself. The philosophy of giving all net proceeds back to the community, of accepting donations during open hours, the phone number, open hours, and the staff are the same. They still cannot accept large things like mattresses or box spring sets, computers, refrigerators, washers, or vacuum cleaners. All goods for sale are of good quality; nothing broken or dirty is accepted. 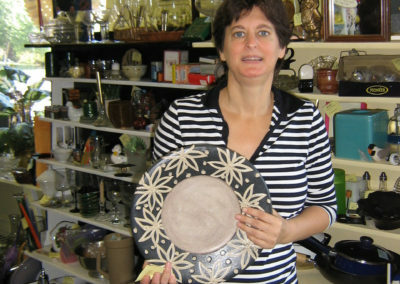 “We sell things people donate – that’s the fun part. You never know what might be here, so people should come often to see what we have,” said Sarsfield. 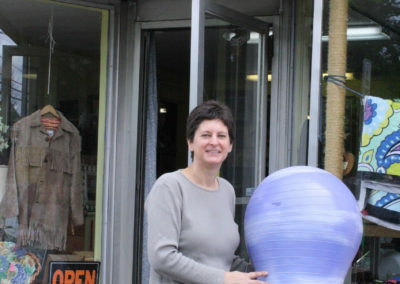 More than a Thrift Store is located at 19 Ralston Street in Keene. Hours are Mondays and Tuesdays, 10 a.m. to 4 p.m.; Wednesdays through Fridays 10 a.m. to 6 p.m.; Saturdays 9 a.m. to 5 p.m.; and Sundays noon to 4 p.m. Contact Cori Sarsfield or her team at 603-355-1890 and on Facebook to arrange for donations, volunteering, or any other questions you have about the store. To find out more about how Southwestern Community Services supports low-income families and individuals in Cheshire and Sullivan Counties, visit www.scshelps.org/aboutus.htm. Racks of clothes in the new store are much easier to browse.